Way up in the northern reaches of the Sierra Foothills, Gideon Beinstock and his wife, Saron Rice, produce small batches of wines that are unlike anything else coming out of California. Using traditional techniques and strict organic methods both in the vineyard and the cellar, they make tiny amounts of Pinot Noir from their 2.2 acre home vineyard as well as a variety of unique blends from 5.5 acres of nearby leased vineyards that they farm as well. The vineyards are densely planted, about 2500 vines per acre, and are dry farmed in order to keep yields down; ranging from as low as 1.3 tons per acre and maxing out around 2. Because their area is free of phylloxera, their vines are all "own-rooted" and many are over 25 years old. Hand-picked grapes are crushed within 20 minutes of harvesting, followed by fermentation in old open-top oak vats using only natural yeasts. For the blends, the grape varietals are all co-fermented as Gideon believes the results are more harmonious. The wines are then aged on lees in 1 to 5 year old French oak barrels for as long as he feels is needed before being bottled, unfined and unfiltered, by hand. Production is generally around 100 cases or less per wine. 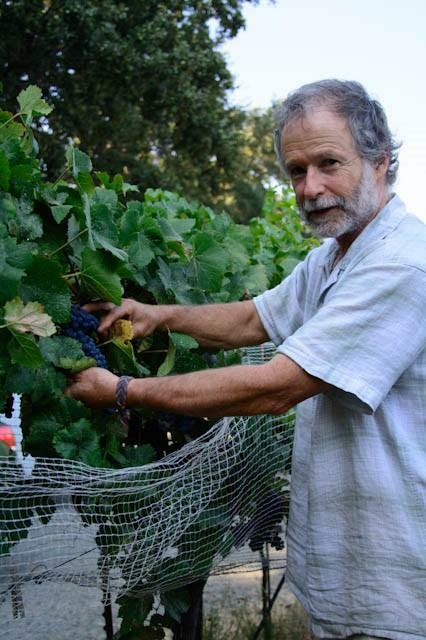 Over the past 30 years, Gideon has been involved in almost every aspect of the wine industry: sales, writing, purchasing, educating, and a decade-plus long stint as winemaker for Renaissance. It is at Clos Saron, though, where he has tapped into something rare: wines that are challenging, surprising, and yet instantly gratifying. They happily defy description and convention without forgetting that, at its core, a wine should be a pleasure to drink.